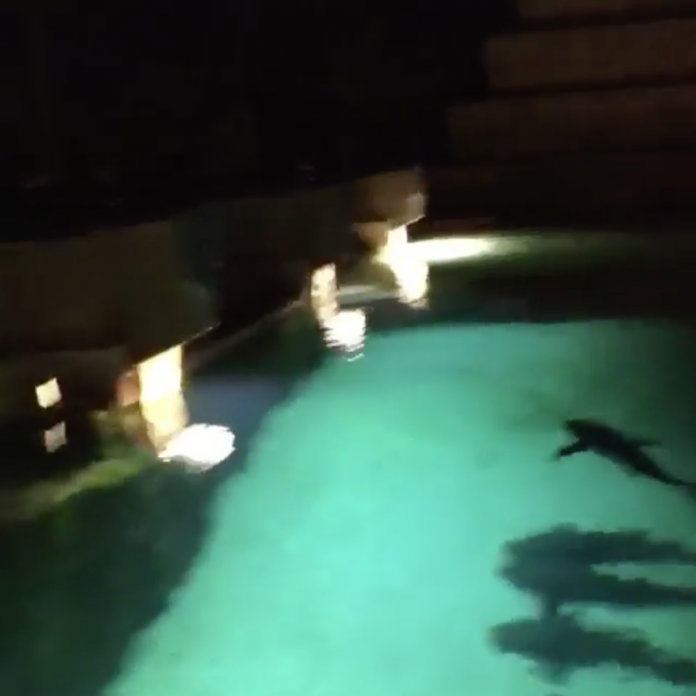 A UCF student says he was dared to jump into a shark-filled pool during a spring break trip to the Atlantis Paradise Island Resort in the Bahamas, according to Inside Edition. Michael Lay, a sophomore at UCF, told Inside Edition that there were 25 to 30 sharks inside the tank. After Lay jumps into the tank a lone shark can be seen swimming towards him. He gets out of the pool before the shark can reach him. Will McCloskey, who was taking video of the stunt, told Inside Edition he didn’t believe Lay would jump into the pool. He told them that he was willing to pay his friend $1,000 to jump in the pool, but Lay said he would do it for free. Lay was not hurt during the stunt. McCloskey says they have yet hear from the hotel about any potential repercussions.